Financial health is often a matter of life and death. I know it was for me. As if the combination of dealing with college coursework, troublesome roommates, an internship, a social life was not enough of a challenge. I was attempting to manage my personal finances for the first time and it was beyond difficult. Too much month, not enough money, no clue where to begin…what’s a girl to do? I qualified for a grant from the University at the very last second and I dodged a bullet. I had the boost I needed to catch up and slide through the rest of my undergraduate years. Then graduation happened, and real life hit me like a hurricane. My money management skills improved greatly over the years and served me well. Unfortunately, my job prospects were as slim as a corset for a fire ant. After draining my savings account while searching for work, I found myself in dire straights yet again. This time, there was no magic wand I could wave nor a four leaf clover waiting for me. As a young adult attempting to juggle all of my responsibilities, I found myself in a familiar situation that I did not want to experience again in life. There I was, a 23-year-old college graduate with an empty bank account, empty cupboards, and an empty soul. 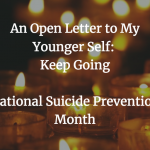 Instead of feeling like I was on the brink of my finest days, I found myself drowning in sorrow and on the brink of suicide. It was an experience that no one should have to endure. I couldn’t understand everything that was happening on at the time. All the while, I kept asking myself questions to try to make sense of this rather unfortunate series of events. Am I the only one struggling financially? Is there anything I could I have done to prevent this painful experience? What do I need to learn about money and where do I begin? Who can I trust to help me with all of this money stuff? My search for answers to these questions lead me down the rabbit hole of the personal finance world. Blogs, podcasts, videos, books. I couldn’t get enough information. One of the first things I discovered is that I was not the only person struggling, not by a long shot. How can more than half of the country be struggling? But really, HOW did this happen? As I began to learn more and more, the answer to that question has proven to be complex and multifaceted. There are cultural, geographical, social, and economic factors at play. But at the very core of the struggle is behavior. There are common behaviors and patterns that those struggling Americans share (myself included). So, what can I do with that information? I decided to take a dive into understanding my own financial behaviors and how they lead me to my season of destitution. I now know just how important the behavioral side of finance is for helping people develop healthier financial lives. We have to start from the inside and work our way outward. I discovered how my natural tendency toward avoidance in times of stress can make it difficult for me to plan ahead and forecast my needs in advance. And, I’m not the only one who has that experience. Income is undoubtedly helpful for building a financially healthy life, but if we can’t manage money well then it doesn’t matter how much we make. Our personal money histories, familial experiences, and beliefs are the fuel for our behaviors involving money. 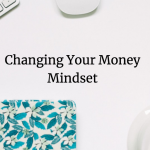 There has been much research done on this over the years, and I believe that it is the key to making lasting positive changes that will help us build up healthy financial lives. After the treacherous and tragic times of the last recession, the distrust of the financial services industry that resulted is understandable. But, how can we change that? How can we make it more accessible to those who need it and rebuild consumer trust? There are already legislative measures in progress in this respect, which is great. Diversity is another concern. The more diverse we can make the industry, the more that people can see financial health is a human experience not a prize for the privileged few. Behavior is only one piece of the puzzle. The knowledge and skills necessary to build wealth often require the help of a financial professional. Expanding the diversity of the industry while building bridges between consumers and professional services will prove to be immensely helpful. The deeper understanding of consumer needs would allow us to create a better variety financial products to solve problems and help Americans thrive financially. I believe it will take collaboration from different players in the finance space. Together, we can all make impactful change. 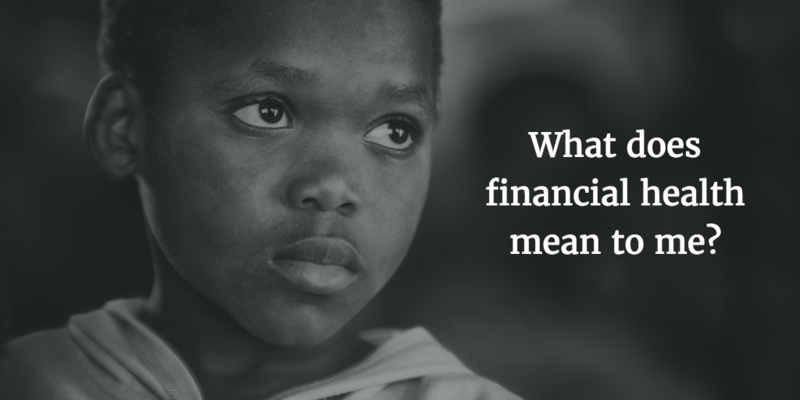 What does financial health mean to you? I’d love to hear your thoughts in the comments!